From smart socks to smart shirts: smart clothing is slowly gaining traction within the category of wearables. 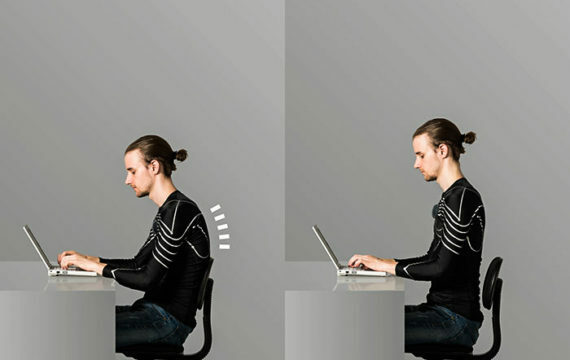 Now, a Japanse start up has launched a versatile smart shirt, logically named the e-skin. This motion and gesture-tracking smart shirt has stretchable wires and sensors integrated onto traditional textiles, providing a platform for fitness and health monitoring. In a recent press release concerning the development of wearables, Bergh Insight claims that the segment of smart clothing is expected to gain significant traction within the next five years. Low consumer awareness, overlapping use cases and a focus on elite and professional applications have so far limited the adoption among the general public. Berg Insight forecasts that shipments of smart clothing will reach 18.3 million units in 2021, up from 1.56 million units in 2016. The segment exhibits the second highest CAGR in the wearables industry. An example of smart clothing with healthcare functions ICT&health wrote about, is the smart sock for diabetics San Francisco based start-up Siren Care launched earlier this year. According to ABI research, smart footwear will become a fast growing segment in e- or mhealth. As the now embryonical smart footwear market begins to develop, ABI Research forecasts tremendous growth in its future, driven by mHealth applications. Overall, unit shipments will rise to more than 6 million in 2021 from just 300,000 in 2016, or an 82 percent CAGR (average growth per year). Back to Xenoma’s e-skin. The start up describes it as is a next generation wearable interface enabling camera-free motion capture and tracking in apparel which promises to be as comfortable to wear as a typical shirt. Xenoma Inc. is a spin-off company from the University of Tokyo. The company is aiming at realizing a human-friendly technologies utilizing study results at academics and infrastructures at industries. It launched a pre-consumer version of e-skin at the Kickstarter event in early August. The e-skin is basically a motion and health tracking wearable tech with the wires and sensors integrated onto traditional textiles. Creators Xenoma, a spin-off from the University of Tokyo, say they were the first to develop the Printed Circuit Fabric – or PCF – technology. This PCF technology makes it robust enough for sports, as well as gaming and daily health monitoring. Ichiro Amimori, co-founder and CEO of Xenoma, telles Reuters during a demonstration: "We are monitoring the deformation of the shirt caused by body motion. And in here all the sensors data is transferred in here. In here we have a battery, micro-computer, motion sensor and Bluetooth. And the data is sent via Bluetooth to the PC and smart phone, and then we can know everything, anywhere, anyplace." Smart clothing has been worked on by a number of companies, including luxury brand Ralph Lauren with its Polo Smartshirt. But e-skin packs in a lot more than regular sports wearables, Reuters writes. The PCF technology integrates sensors to monitor temperature, the amount of oxygen in the blood, and much more besides. Xenoma is now working on a similar outfit to monitor the health of infants. In this project for monitoring babies, an e-skin will monitor the body temperature, motion and blood pulse. So parents can monitor everywhere, anytime with just having a smart phone. The e-skin for babies will be unveiled at the Consumer Electronics Shows (CES) in Las Vegas, January 2018. Gaming: e-skin apparel as an input controller for gaming and VR experiences. Fitness: e-skin apparel as a personal coach for monitoring and improving form. Healthcare: e-skin apparel to monitor body movement, posture and respiration. Xenoma also states the e-skin has been developed with durability and wearability in mind. It is, for example. machine-washable.